We are a dynamically growing company in the Air Chartering Business with a diverse fleet operating on a worldwide level. AirX Charter is an international company offering exposure to various markets and jurisdiction from around the world. Due to our continuous growth, an exciting opportunity has arisen for a B1/B2 Licensed Engineer to join Air X Jet Support located in Luton, UK (Kindly see below). The B1 and/or B2 Licensed Engineer shall be responsible to ensure that the work done meets quality standard, and aircraft are safe and airworthy. 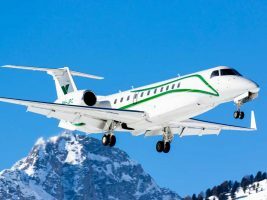 The B1 and/or B2 LAE must hold a valid EASA Part 66 Aircraft Maintenance Licence and also type rated on Bombardier CL850 (CRJ200) or CL604. The above must be approved to certify (6months in the last 2 years). The B1 and/or B2 LAE must also be prepared to work as part of a team, Primarily based at Luton Airport but as is the industry standard be prepared to work as and where our fleet aircraft require support. Candidate must have strong communication organisation and leadership skills. Full job specification on application. This is a permanent role. Candidates must have right to work within the UK / EU. This is a role within an Expanding Corporate Airline which operates and services its own (19) strong fleet and still expanding, with third party aircraft support for both Base and AOG events .A busy but rewarding role with scheduled and AOG inputs throughout the year on our fleet aircraft with more being delivered in the coming year 2019,this is an opportunity to be part of an expanding team , have influence over your own career in an environment that has a different approach to your work life balance work, reward, enjoy a chance to be part of and contribute to a developing a great Maintenance team. Carry out scheduled Base and Line maintenance, provide certification of own work alongside supervision and support of unlicensed engineers work. Support of aircraft maintenance as an unlicensed engineer when required for aircraft types not held on approval. Assist the Commercial Department in generating estimates for Line or Base Maintenance Services when required, giving advice on man hours / parts / services and any likely additional costs. Availability to travel at short notice periods when on shift (overtime availability by agreement) UK & Europe wide. Any other duties commensurate with the position as indicated by the director. Interested Applicants shall send us their CV. Company Name: Air X Jet Support.